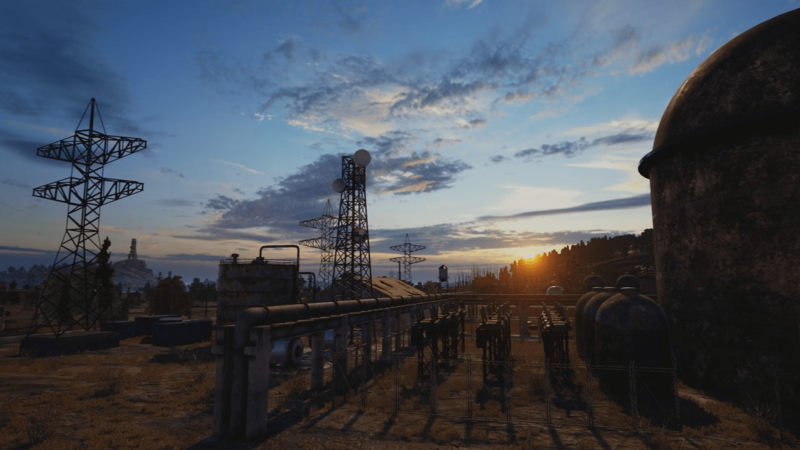 PUBG hits 300k concurrent players with new map update! Home News PlayerUnknown’s Battlegrounds hits 300k concurrent players, new map, and update! PlayerUnknown Battlegrounds released in March and has been smashing goals since then. 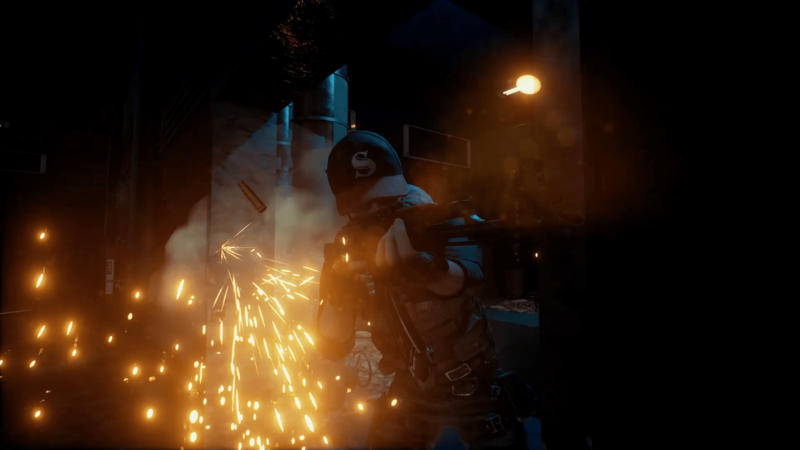 Still in its first 6 months of Early Access, PubG game has sold over 4 million copies and now boasts over 300,000 concurrent players. More than enough reason to add more servers, update the pubg game details and begin partnering with Twitch streamers. 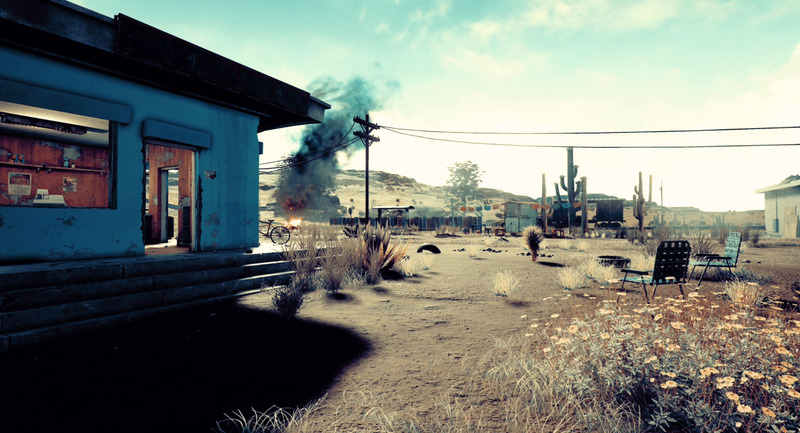 Developers released a preview of the new desert Pubg map that we mentioned back in May. It’s only a small glimpse of the new map and there aren’t many other details but it certainly looks interesting. One detail in particular that DayZ players may notice is the bicycle in the second Pubg map preview pic. Bicycles are significant to the gaming community because they’ve been on the DayZ Standalone promise list for awhile to no avail. Most notable, DayZ is in its 3rd year of Early Access whereas Pubg is just past its 3rd month of Early Access. 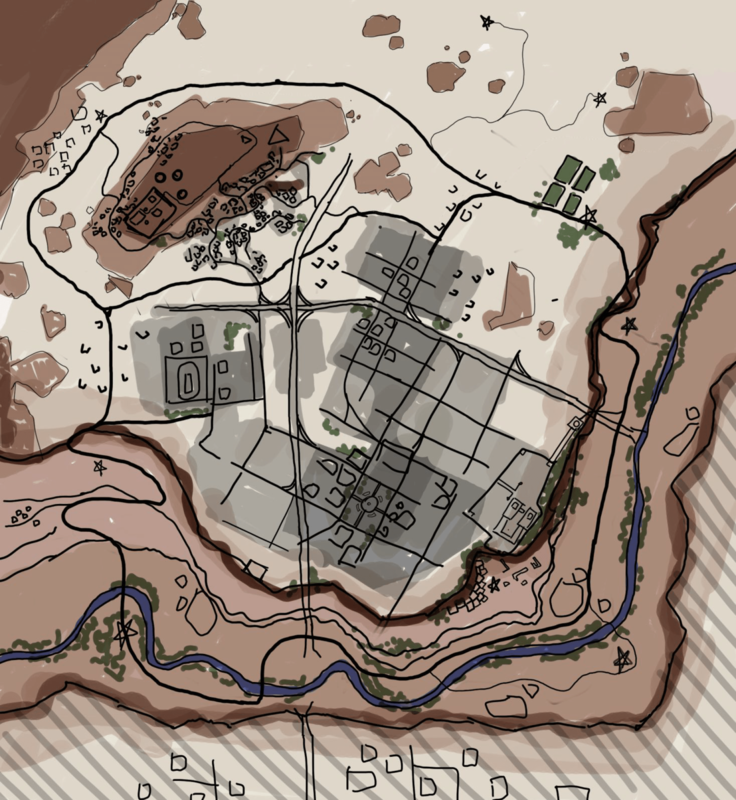 The Pubg desert map is a desert city in Peru and includes hillside slums, a canyon, and a river. Further, the desert is a sandstorm and war-ravaged zone 4x4km in size. 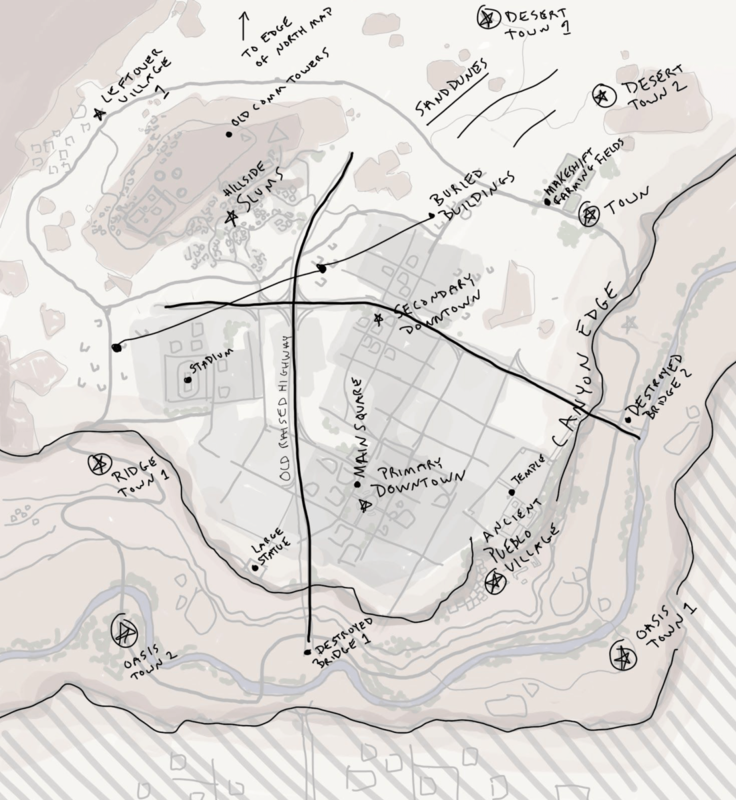 Take a look at some sketches of the maps courtesy of GameInformer in our gallery below. Fans will also notice the train car and train tracks featured in both pictures. Is this a sign of not one but two new vehicles being added to Pubg in the future? In addition to the desert map, a snowy Adriatic region is also in development and a preview may release soon. It’d be great to see a glimpse of the planned cosmodrome and ruined half-shuttle. 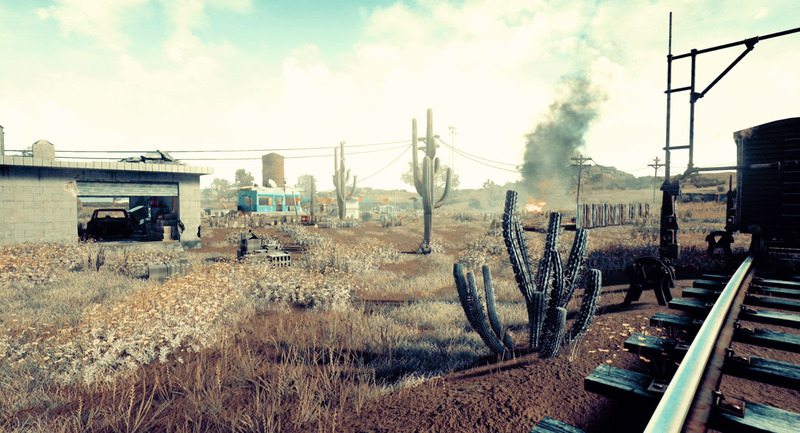 Notice the bicycle behind the house and the train car behind the tall cactus in the second desert preview picture. We’re using AWS [Amazon Web Services] so we can spin up servers wherever we want. The guys here are creating server systems that are autocorrecting, scalable, and as we need servers we just spin them up. We want to have servers in most of the major regions; North America, South America, Asia, Europe, possibly in Russia as well and Australia/Oceania. PlayerUnknown’s Battlegrounds is available on PC and planned to release on console/s. Previous articleLotro Mordor Expansion looks epic! New High Elf race, level cap, regions and more!